Following our recent summer graduation ceremony at Middlesex University, we spoke with some of our graduates on their experiences of studying at Masters level, from their hopes and aspirations through to their advice to peers thinking about making the leap into the world of study once more. What made you take the leap into taking a masters course? I was two-thirds of the way through and my head teacher persuaded me to go for it. What did you hope to learn and achieve? And did the course meet those hopes? Yes absolutely, I learnt such a lot, particularly about organisation and timekeeping. I gave up every weekend and holiday to work on my MEd which at the time was really challenging with a full-time job and family. However, when I got the first email to say it was likely I had gained a Merit, I was ecstatic, I really couldn’t believe it. Always thought because of my work commitments I would get a Pass. The feeling when I walked out with my blue gown on at graduation was an overwhelming sense of achievement. For someone, who left school with a few O’levels and have studied most of my adult life, this is the pinnacle. Why did you opt to study with Real Training? They were so flexible and accepted the credits from my PGCert and SENCo qualification. The website and portal are extremely user-friendly. What is the most interesting thing you learned in your studies – about the subject or yourself? As above, the subject I will take forward into my professional life. I love the fact that the letter after my name is on the school headed paper! What would you say to a friend or colleague thinking of embarking on a Masters? You can do it if you put your mind to it. You need the support of work or home, or both to get you through the tough times. Resilience, time management and organisation are key! If you could sum up your experience studying with us in one word, what would it be? Brilliant, timely support from my Tutor, who was so positive and boosted me when I felt I couldn’t do it. User-friendly portal, which in itself is so organised already for you. 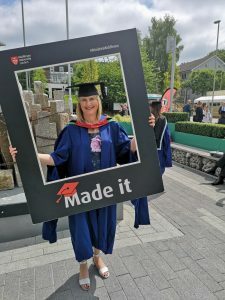 I embarked upon my first master’s course in 2009 because my nine-year-old son was struggling in mainstream education as a result of a hearing impairment, dyspraxic and dyslexic tendencies. I wanted to be able to help him achieve his potential but realised more specialist help was needed. 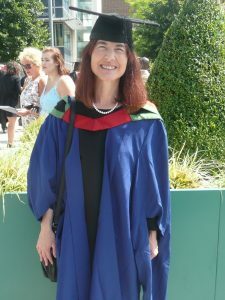 It was then I signed up for a PG Cert in Dyslexia and Literacy with Dyslexia Action and validated by York University. My intention was to assist him in improving his reading, writing and spelling skills by studying a specialist course which I could apply to the children I taught in my mainstream classes. At this time, the government was encouraging teachers to become specialists in response to the Rose Report, which found that there was a deficit in professionals with the required skills and advocated that all teachers should be trained to identify and teach dyslexic children. However, whilst completing this challenging programme, there was no additional time available to assist my son. However, I am now able to put the skills learnt into practice. I noticed that Real Training advertised the CCET course as a natural follow-on to the postgraduate dyslexia course I had just completed. I wanted to have some more in-depth knowledge of assessment procedures and report writing; I also noticed that by completing this course, I could port credits towards a master. Up until this point, I hadn’t really contemplated studying to such a degree, except that I recall my late father, saying to me, before he died in 2009, “I think you could do a master’s degree you know,” so with his words in my mind, I became determined to fulfil his wishes. I was very impressed with the way Real Training explained the various routes that could be taken. I then completed the CCET Skills and Knowledge course and partner Application and Reflection module, Educational Testing. I was extremely grateful for the support given and professionalism shown by Real Training which motivated me to complete the final Enquiry Module. 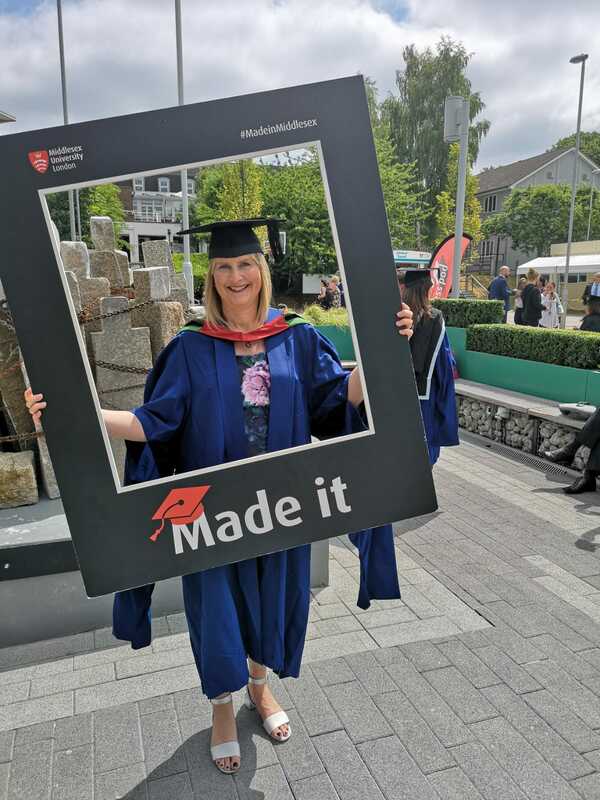 Before I embarked on this journey, I would never have believed I would complete a master’s degree in Special Educational Needs and Disability. However, the more I researched the subject, the more interested I became and I developed an insatiable thirst to find out more. This, however, would not have been possible without Real Training, who made me believe in myself; thank you! I was also inspired by other delegates’ posts about their thoughts and experiences, especially on completion of the final Enquiry Module and photographs of them at their graduation. I would have no hesitation in encouraging anyone thinking of embarking on a masters with Real Training to take that step of faith and do it! My experience has been extremely positive, as the website is crystal-clear to work through and all the resources are easily accessible. I was grateful for the swift response to queries, dedication and positive guidance from all the tutors and to have the opportunity to message other delegates on the website. The regulations for the role of a SENCO require that one completes the National Award for SEN Coordination, thus my employer offered to pay the tuition fees if I would complete the course as part of my CPD. Yet, I also enjoy CPD and learning and thus was thrilled when this opportunity arose. I successfully completed a Masters in Education in 2013 and thus this was another great opportunity to extend my skills and knowledge within the field of Education and Special Educational Needs provision. I hoped to learn more about the legislations and law behind SEN provision and how this applies in my context (an international school in Germany which offers GCSE and International Baccalaureate to pupils) and what this would mean for my role as SENCO for Secondary pupils. Furthermore, I wished to know more about the leadership aspect of the role and how this can be combined with working closely with so many diverse staff. The course allowed me to learn a great deal about my own expectations, realities of the role and how to compromise between the both to achieve the best possible outcome for pupils. Furthermore, I learnt more about frameworks and methods on how to run a SEN Department and which steps needed to be taken to make inclusion a whole school matter and to have as many staff on board with the provision we offer. I have a long way to go but the course allowed me to build a solid foundation and know where to find answers to questions, if they arise. I had completed another course in London with Real Training and was impressed with the support, professionalism and thoroughness of the course. Thus, I suggested to my employer to go through Real Training to complete the NASENCO course. Resilience and support from others are fundamental qualities which I have taken from the course. I was not just provided with knowledge, resources and ideas on how to successfully become and be a SENCO who achieves the best possible outcome for pupils; but it reminded me why I chose the role in the first place and that research, collaboration and resilience pay off and are needed in this role. 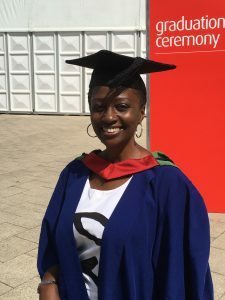 I would strongly recommend a Masters or any other postgraduate study because it enriches your work and allows you to grow as a professional whilst learning to root your work in research and not just intuition or “old, tested methods”. Furthermore, it allows you to become more critical of established mechanisms and look at your job from different angles to be able to improve your work and skills. My reasons for taking the leap into taking a masters course were three-fold. Firstly, I had come to the place where I wanted to reflect more deeply and systematically on my work as a SEN teacher, in order to improve my practice. Secondly, five years had passed since completing a Post Graduate Diploma. I needed another 60 credits to gain a Masters Degree, so it was now or never! 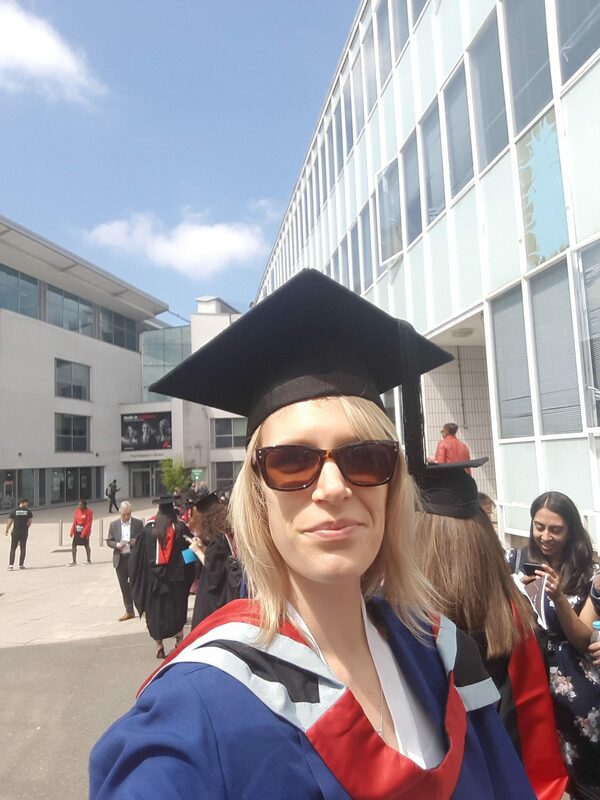 Thirdly, having recently taken on a part-time role as a specialist study support tutor in higher education, I believed that by studying at this level again, I would have a current and personal appreciation of all that is involved, enabling me to offer more effective support. I undertook an Enquiry-based module in SEND Practice, hoping to learn more about the challenges faced by learners with adequate decoding skills but who nevertheless experience significant reading comprehension difficulties. I also wanted my studies to benefit my (school) work setting and this was achieved through the action research framework employed for my enquiry project. Additionally, the skills I gained have been useful in my HE role, particularly when supporting third-year students with their dissertations and final projects. I have learned so much through my studies. For me, the most interesting thing is that I now appreciate the meaning of research in an academic sense and have discovered a systematic and accessible way of becoming a reflective practitioner. Looking back on my research design checklist and all that needed to be accomplished alongside work and family commitments, I am also reminded of how a determination to succeed can strengthen resilience when challenges arise. This issue explores the comparatively undiscovered country of females with autism via in-depth interviews with Professor Baron-Cohen and Dr Hendrickx. It also examines gender dysphoria through Dr Lawson’s deeply personal and moving account. Judith Gould’s quote hints at the gender disparities in our understanding of autism; disparities that mean that ‘we don’t have such a detailed idea of what it looks like in females’ (Professor Baron-Cohen). While we’ve made strides since Hans Asperger first asserted that autism did not affect females (in 1943), we’re still a country mile from a true grasp of autism across genders. Indeed, when neurodiversity and the autism spectrum are such key terms of reference in our modern discourse, it is telling that our understanding of autism across genders is not as diverse, broad and consistent as it could be. This issue of The SEND Practitioner addresses this deficit by asking two very different experts your questions about females with autism. In this way, Professor Simon Baron-Cohen and Dr Sarah Hendrickx offer contrasting perspectives. 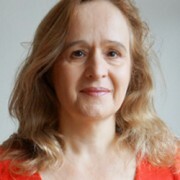 While the former is a world-class academic, researcher, and author of ‘The extreme male brain theory of autism’; the latter is a respected consultant, trainer and coach in autism spectrum conditions who was diagnosed with Asperger Syndrome in her late 40s. You’ll also find a profoundly important and personal piece on gender and gender dysphoria by Dr Wenn Lawson. To conclude this issue, Maddie Ralph’s top-notch interviews with Ruth Deutsch (co-creator of CAP) and two CAP graduates, demonstrate the impact that this course has had on dynamic assessment skills. While our news section gives you the lowdown on Dyslexia Action, our recent NASENCO webinar, the London CAP course and Autism Show (this June), and our head of marketing’s marathon exploits. 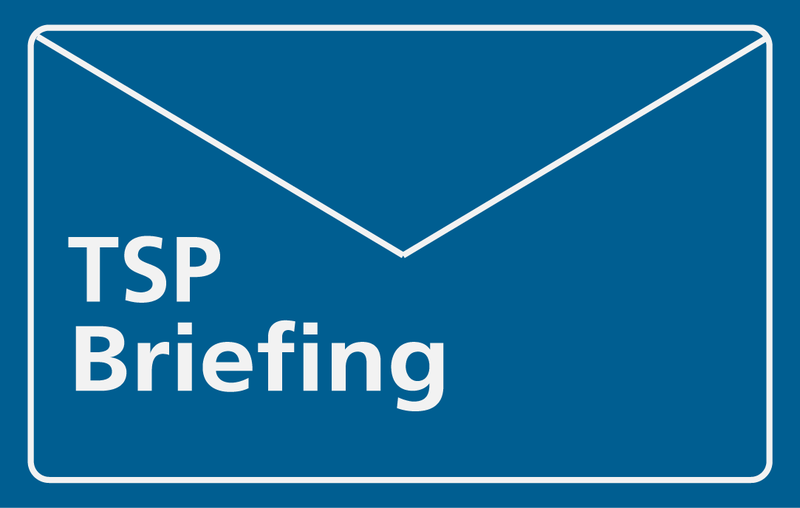 Read issue 19 of The SEND Practitioner. Peruse The SEND Practitioner archive. 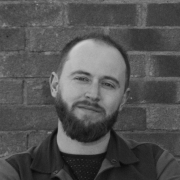 This month we are delighted to share an interview with the newest member of the Real Group team: Lee Royston. Lee is our new instructional designer, she is based in our Greenwich office and will be working across the company to update, improve, and write our online courses. Lee told us about what led her to become an instructional designer and about the responsibilities of the role. What were you doing in your previous role, before joining Real Group? What did it entail and how long did you work there? ‘I previously worked for a charity named Red Balloon Learner Centre Group as the director of distance learning. They have four centres around the country and mainly work with children in secondary education who aren’t attending school; the best description of that issue would probably be ‘anxious school refusal’. In a nutshell, the key purpose of my role was to set up and develop an online school for the charity, which really took up the last six years of my life. I covered the project management side of things and managed the staff, but I also developed the teacher training programme for the Red Balloon teachers so that they could better cater for the students. What is your background in terms of work and education? What particularly attracted you to the role within Real Group? ‘I have a background in psychology and information technology, and when I read the job description I just thought: this is the perfect fit! I had worked for a not-for-profit organisation for a very long time, and I was interested in the role with Real Group. Other jobs that I looked at simply didn’t inspire me, but working with education and technology is something that I am very passionate about. I was ready for a commute to Canterbury every day, and then I found out there was an office in Greenwich – it just ticked every box! What does being an instructional designer involve? Is there anything you are particularly enjoying so far at Real Group? What are your interests outside of work – what sort of thing do you like doing in your spare time? 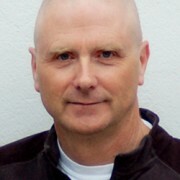 In March we were so pleased to welcome a new addition to the Real Group team: Mark Farthing. As our new head of operations, Mark will be overseeing and managing many different elements of the business, to ensure that we continue to provide a consistently efficient and outstanding experience for our delegates as we grow. We spoke to Mark about his professional background and the effect he hopes his new role will have on the company. What were you doing in your previous role, before joining Real Group? What is your background in terms of previous employment and education? What is the main purpose of your role? ‘My role is still very new and will develop more over time, but I will mainly be managing the team and bringing an operational standpoint to the role. So, for example, I will be looking at data analysis, process improvements, mapping out our processes in the department, looking at our budgets and hourly costs – all things that I have experience of, which are quite important for us to know. I want to make sure that people are given the opportunity to progress in the way that they would like to and that they can see a clear path to the next stage of their development. It’s important that people have a vision of how they would like to progress because I believe that is how you get bigger and grow as a business. What have you particularly enjoyed since joining the company? Is there anything you are particularly looking forward to within your role at Real Group? Perhaps something you are planning on implementing or launching? On Thursday 23 February, I was thrilled to pop along to the Whole School SEND Summit for a smorgasbord of speeches, panels and roundtable workshops on building a community in SEND provision. Edward Timpson MP (our most recent contributor to The SEND Practitioner) delivered the keynote and set the tone for an edifying day. Post-lunch and post-roundtable workshops, I returned to the lecture hall to see a panel of speakers discuss how to ‘make the invisible visible’. This energetic debate, chaired by Simon Knight, featured a panel of people from across the education sector. At the very heart of this discussion was the need to ‘look outside of the SEN community to learn from the experiences of others’. During the debate, I was struck by George Fielding’s (chair of the Whizz–Kidz Kidz Board) impassioned introduction and Simon Knight’s (Director of Education at the National Education Trust) forensic response to a parent’s question on the Code of Practice. Why? Because neither George nor the parent hailed from the typical conference complement of senior school leaders and teaching professionals. And this fact is refreshing and pressing and important, because if we are to really make a difference to the lives of those with SEND, then engaging fully with parents and those with SEND in this way will help us to ensure that we are truly ‘school-led and user-informed’. With this in mind, I have transcribed George’s and Simon’s excellent speeches. If you get a moment, they’re really worth a read. ‘Hello, my name is George Fielding, I am the chair of the board of young trustees at Whizz-Kidz, which is the largest organisation representing wheelchair users across the UK and so it is my great, great pleasure to represent them today and hopefully give you some sort of a sense of where I’m coming from and what I think needs to be changed in order to make the education system better and more accommodating for those with SEND. ‘What’s the use of two strong legs if you only run away? What’s the use of the finest voice if you’ve got nothing good to say? What’s the use of two strong arms if all you do is push and shove? What’s the use of two good ears if you can’t hear those you love? ‘That was a verse in a song that I was listening to a week ago called: “It’s what you do with what you’ve got”. And as I was listening to it I was thinking about what I was going to say today. And what those four lines reflected to me was [that] actually either everybody has a disability or nobody does. That I don’t want to sound controversial, but we all thrive in different environments, we all have different talents, abilities, different backgrounds, different experiences, different values, different beliefs and a different culture. ‘Put me on a stage and ask me to sing and dance and I can’t do it. So, I am better than my non-disabled peers in some environments, but I am much worse compared to them in others. That is just human nature, we’re all human beings. And I think that, really, what we have to do (without trying to preach to the crowd) is champion difference. There is one word that I do not like that I hear all the time and it is curriculum. ‘I do not like the word curriculum because the three core subjects that you have: English, maths and science. To me, they all seem to champion some sort of formula, some of structure, some sort of way of doing things. And the message is that if you learn that structure and repeat that structure again and again and again, you’ll always come out with an acceptable answer. You may disagree about English, but what is punctuation for if not to be put in the right place. And I don’t wish to say that to be controversial, but I wish to say – in a sense – that I think that a lot of people, they sit in class, and they don’t think their school/their society fits. They don’t think that their society is accessible or accommodates them. ‘There are four Ls to the education of people with SEND for me. People with SEND can Love, they can Learn and they can Lead. They can Learn because they can move around, they can meet and they can be mobile and they can have their voice heard. By having their voice heard they can Lead and they can be fantastic representatives in society and they can Love too. We have passions, we have desires we are, as I have said, human beings. Play on those emotions, use them, tap into the great swathes of talent that [are] currently untapped in society and you will see a much more colourful, much more vibrant and sustainable society. Because it is through teachers…parents and everyone in this room learning those three Ls, that there’s a fourth – and that is that people with SEN will Learn. ‘The most important point to me is that an education doesn’t have to have happened in a classroom. My education has happened by meeting people, by speaking with people and by voicing my opinion and by campaigning. If we limit education to a classroom and we don’t actually think about what is educational and we don’t use our expertise to help young people with disabilities/SEN transition and be proud of who they are, then we won’t get anywhere. ‘I think that that’s a really important question. I think that it’s one of those ones that probably needs to be dealt with in two different ways. There’s a policy and accountability piece that sits with that and there is a pedagogical and a pragmatic piece that sits with that. ‘So, the accountability structures are such that quite often teachers do not feel particularly compelled to put their hands up and say “I don’t do this very well, I would like to do it better”. And so the nature of performance-related pay, appraisals and Ofsted makes it difficult for people to be truly honest about [what] their professional capabilities are and some of the work that we’ve talked about a little bit here today is about trying to create structures where we can support that. Because the barrier to learning is not always a learning difficulty, sometimes it’s a teaching difficulty, and we need to understand how that relationship works – and we need to be much more honest about that. ‘The other challenge that we’ve got, which is kind of a structural challenge, is the fact that a graduated approach, even a targeted approach is a developmental approach – and yet [has] all of the accountability of the chronological approach. So we talk about having mastery of the curriculum, but we want chronologically determined accountability structures. Those two don’t work. You cannot have a developmentally prescribed curriculum based upon the individual needs of a person and expect them all to be at a certain level by the time that they’re 11. So there’s a real challenge there for school leaders, a real challenge to be able to implement, which I suspect that the vast majority would want to be able to do, which is to focus on meeting the needs of the child. Because, at the moment, what we’re doing is that we’re focusing on meeting the needs of the system. And that system doesn’t actually reflect the needs of the children that they have within it. So that’s part of it. ‘And the other side is the amount of support that teachers are given to actually develop those skills. And so I spend quite a lot of my time working with people who find it quite tough working with kids with SEN. And it basically comes down to confidence and competence, [which] is that nobody’s actually shown how to do it so they don’t think that they can. And actually there isn’t anything special really about what we do in the specialist sector, despite its name, I wish it was something remarkable. It’s just really really good teaching based on really really good evidence that comes from the child rather than some sort of overarching structure. 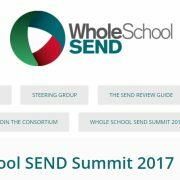 Find out more about the Whole School SEND Summit 2017. Following the successful launch of the Leading Inclusive Education MA, Maddie Ralph explores the forthcoming Learning Differences and Communities and Culture modules. This module will enable delegates to get to grips with a broad range of learning needs – including SEND, EAL, gifted and talented, and pupils with literacy difficulties. It enables them to focus on needs that are useful to their practice and setting. Delegates will understand how contemporary thought, guidance, legislation and research in this area apply in their setting. They will evaluate, understand and apply their learning, and will think about how best to lead staff to make a difference to children and young people with learning differences. Strand one of this module concentrates on understanding learning differences and inclusion. As well as refreshing their understanding of learning theories and typical cognitive development, delegates will explore different perceptions of learning differences and inclusion, and models of disability, and consider some controversial issues around difference. This will enable them to build a picture of various learning differences and the provision currently made for them in their setting. They will also be able to learn about the national picture, (re learning differences and inclusion) and reflect on responsibility, accountability and leadership. Strand two will enable delegates to review provision for an area of learning difference, by first revisiting the waves of intervention model of support for children and young people with learning differences. They will go on to learn about the graduated approach to SEN support, how this is applied to other groups, and consider how well their setting implements this. Delegates will work with their colleagues to select an area of learning difference where practice could be improved. They will research it, make provision for it in their setting, share their findings and obtain feedback. In the third and final strand, delegates will build on their learning by developing an action plan for change in their setting. They will reflect on their learning and progress as a leader of inclusive practice, and will look at the next professional development steps that they need to take. This module will allow delegates to develop their understanding of the impact of culture and community on pupils and their families, and the implications of these for education settings. They will encounter a range of cultures and communities that are relevant to them and will get to grips with vital issues around community, culture, identity and multiculturalism. They will learn about the community-based resources that can support their practice, and will think about how best to lead staff and evolve a cohesive approach for a diverse pupil population. Strand one is based around delegates’ understanding of communities and culture. They will explore their own culture and that of their setting, they will consider a range of perceptions of the concept of community and will reflect on education settings as communities. They will not only consider how identity is defined and shaped, but will also explore issues surrounding community cohesion, examine culture and cultural diversity, and investigate the relationship between diversity and inclusion in communities. Strand two will lead delegates to a deeper understanding of practice in relation to communities and culture. Through researching diversity, social capital and what it means to be British, they will develop their knowledge of how education settings (particularly their own), can support individual identities and promote a universal sense of belonging. By understanding the role of supplementary schools, and the kind of education that will equip children to participate and achieve (both in school and beyond), delegates will be in a good position to apply their knowledge in the final strand. In the third and final strand, delegates will focus on leading change in their setting. To conclude their learning, they will work with colleagues to develop an action plan for change in their setting. In common with the previous module, they will reflect on their learning and progress as a leader of inclusive practice and will look at the next professional development steps that they need to take. To find out more about this programme, take a look at Middlesex University’s website. We recently welcomed Jalak Patel to Real Group. As an educational psychologist (EP), she has wide-ranging experience of working with young people in both the UK and Hong Kong. 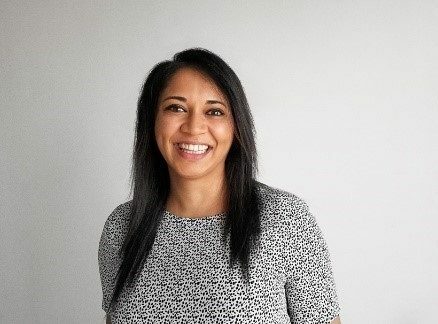 We spoke with Jalak about her time in Hong Kong, what led her to her new role and how SEND challenges differ between the two landscapes. As an EP, what are your areas of interest? You have broad international experience as an EP (having worked in both Hong Kong and the UK). Can you tell me about your recent time in Hong Kong? What took you there and what did you do there? ‘I worked in Hong Kong for four-and-a-half years and in Coventry for eight years before that – so two very different places. Throughout my career, I’ve always been interested in how different cultural backgrounds and experiences impact on how we think, feel or behave, and how that might then influence a student’s emotional well-being or their academic progress. So, for me, the opportunity to live and work in a completely different culture was just thrilling really. ‘In Hong Kong, I worked as an EP for the English School Foundation, which is a foundation of 22 settings covering pre-school children up to secondary level. During this time, I was also the foundation’s advisor for SEN training and development. In this role, I worked with schools to find out what their development needs were, wrote and delivered training based on these needs, supported others to do the same, and then worked with different settings to embed their new learning and skills. What was particularly interesting about the position was that my work was not just limited to the English School Foundation’s pool of international schools. We were keen to broaden our remit to support and influence the practice of other schools within South East Asia. In this way, through inter-school discussions and conferences, we shared good practice. Before this, you were in the UK. In the world of SEND, what are the similarities and differences between the two landscapes? ‘I think both the UK and Hong Kong have an increasing understanding of the importance of ensuring that the needs of all students are met (whether they have SEND or not). In the UK, we have a long-held understanding that we have a part to play in this, and I did wonder before I went whether it would be the same. I’d say that in Hong Kong, there is also an understanding that we need to meet the needs of all students, and educators are becoming even more interested in how this can be done, especially when thinking about meeting the needs of children and young people with SEND. ‘In Hong Kong, there is often a high expectation for children and young people to succeed academically. However, there is also a growing awareness of the links between these expectations and increased levels of stress, (or decreased levels of emotional well-being). This is in line with the UK’s recognition of the importance of mental health challenges and how these can impact on students. The raft of new legislation that’s come out and the kind of discussions that are taking place, are illustrative of how much the UK has developed in this area in just the few years that I worked abroad. ‘Differences: I suppose that the main difference would be in terms of behaviour. In the international school context, we saw a lot less of what might be termed in the UK as challenging behaviour. People in South East Asia tend to have a real respect for education and they very much expect their children to do well – sometimes to their detriment. They can be a little bit pushy or work their children very hard. In general, however, children and young people have a healthy respect for education and want to do well. So, if they are exhibiting challenging behaviour, it’s not from a desire to get out of the classroom, or to cause problems. More so, it’s because they are genuinely experiencing difficulties stemming from other challenge areas – such as, say, social cognition challenges, or mental health issues. At the time of the interview, you have only recently touched down in London. What drew you to this role? ‘Well, Real actually came out to Hong Kong. Jen [Wills] flew over, and delivered the Certificate of Competence in Educational Testing (CCET) to a number of staff within our foundation. We contacted Real because we’d heard about them and their reputation. During that time, I held a dual role, one part of which involved advising the foundation on SEN training and development. Following the course, I spoke to staff to find out what they thought about CCET: they were struck by the clarity and rigour of the training, and could clearly see how this was going to help them and how they could move forward. The knock-on effect was that I was very impressed with the quality of the course and Real’s reputation. After conversations with EP friends back in the UK, I became more aware of the organisation’s positive reputation, the forward-thinking nature of the company, and its willingness to embrace new ideas and thinking. As you start your role with us, what areas are you particularly looking forward to working in? Finally, in the coming months, you will tutor on some of our courses (e.g. : the Certificate of Competence in Educational Testing). With this in mind, why is assessment and educational testing training so important to education professionals and young people with SEND? Jalak will be working with both Real Psychology and Real Training in her role.